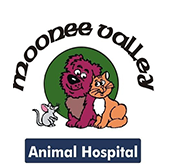 Moonee Valley Animal Hospital has been providing expert veterinary services to clients in Essendon, Strathmore, Niddrie, Airport West and surrounds in the Northern Suburbs for over 35 years. The clinic was previously known as Aberfeldie Veterinary Clinic before the name change in 2000. Today we operate with an experienced and highly regarded Veterinary and Nursing team. Most of our nurses have been with us for over 8 years, with our longest serving Nurse Joanne have been here for 30 years! We have recently taken on some trainee nurses who are in the midst of studying for their Veterinary Nursing qualifications. Dean our senior Vet has been with us for 20 years with lots of his original clients still visiting him regularly. Our aim is to provide quality veterinary care in a kind and compassionate environment. The staff at Moonee Valley Animal Hospital strongly believe prevention is the key to your pet’s long-term health. We aim to provide the best possible veterinary care, by providing you with the information needed to make informed decisions. Our fully equipped Veterinary Hospital allows us to deliver excellent results and our experienced team will give your pet the best of care. We pride ourselves on our customer service and our nursing and reception team is always ready to put in that extra effort to ensure our clients are confident their pets have been given the best of care. Our Keilor Road Essendon North location is easy to find and our ample parking facilities enable you to minimise the effort to transport your pet to our welcoming staff. 216 Keilor Rd Essendon North Victoria, 3041.